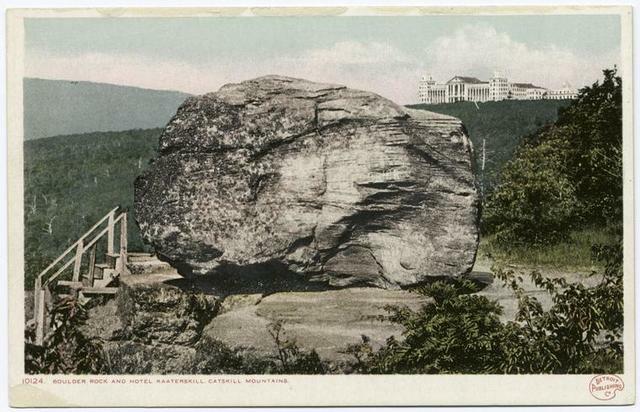 Boulder Rock and Hotel Kaaterskill, Catskill Mtn., N. Y.
Shoshone Falls, Snake River, Idaho. Main fall, 210 feet from upper to lower level; height of cañon walls at the falls, 1,000 feet. A number of minor falls, islands, and boulder rocks among the main falls add beauty to the lonely majesty of this scene. The Flume, from above (near view of Hanging Boulder), Franconia Notch, N.H.